There are a handful of games out there that we had to sacrifice our keyboard and mouse for, instead opting for a controller and console. One of those was Ico, and I think we’ll all admit it was worth hopping over to PlayStation world for that one. If you’re nostalgic for that kind of gameplay, then PC project The Girl and the Robot from indie outfit Flying Carpet Games might be just what you’re after. Currently in a very early alpha build, The Girl and the Robot casts you as the titular girl as she attempts to escape a vast castle ruled over by an evil queen. During her escape she discovers a magical robot who she can control using a pendant. 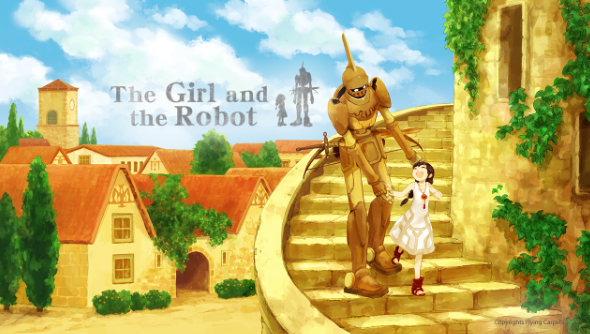 The robot is the key to escape, aiding the girl to fight the castle’s defences and security systems. This youth-and-defender style gameplay isn’t the only element that evokes Ico; just check out those environments. You can buy the alpha right now from the Humble Store or Desura, and the money from the alpha will of course help fund the final product. Alpha purchasers, as with other forms of early access, will be provided with the full version at no extra cost.